ODU AMC® with Push-Pull locking. Especially over the past two years there have been many new product and application developments on the military market and just as many changes. However, manufacturers’ and users’ requirements and requests remained the same: weight reduction, robustness, ease of handling and secure transmission of a high number of signals in the smallest available space. 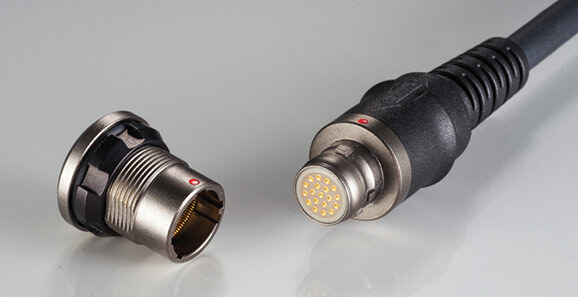 Functionality under the most difficult conditions is a basic requirement for all connector technologies used in military applications. More than 70 years of experience, high vertical integration and overall knowledge under one roof – ODU convinces with high-quality standard products as well as with customer- and application-specific solutions. ODU’s premium connectors securely and reliably transmit data and signals, making them useful in an extremely diverse array of applications, for example in soldier modernization applications. The circular connectors are designed for e.g. 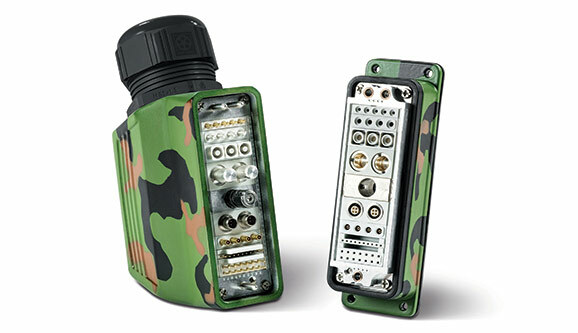 group voice and data radio, navigation module, soldier control unit, rugged computers and handheld devices, GPS antennas, military night vision devices, unmanned systems and land vehicles. At one glance the ODU AMC series include four different types of connector solutions: ODU AMC High-Density, ODU AMC Push-Pull, ODU AMC Break-Away and ODU AMC Easy-Clean. ODU AMC® High-Density in the most compact space. ODU-MAC® combines versatility with costumizable modules.